Use this calculator as a starting point when budgeting for your patio project. For actual costs, get a quote from a local contractor who will visit your property to assess soil conditions and access for a concrete truck. *Calculated using: Plain - $4.50 per square foot; Simple - $8 per square foot; Custom - $12.50 per square foot; Elaborate - $18 per square foot. 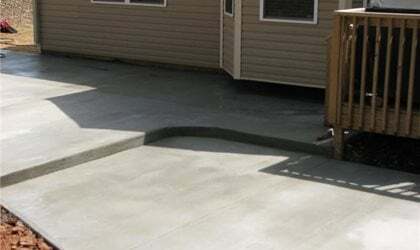 The typical concrete patio is approximately 288 sq ft and costs an average of $2,800; depending on a variety of factors, your cost will likely fall between $1,300 and $5,100. 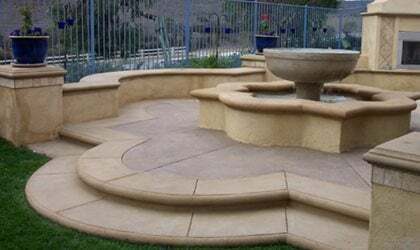 A concrete patio costs less than patios made of stone, brick, or tile. The simple truth is that patios made of natural materials are usually higher priced and require more intensive labor to install. 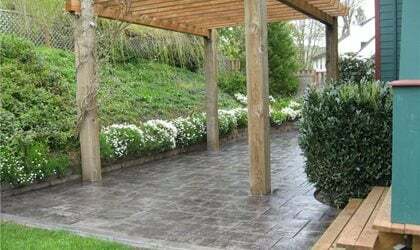 Some concrete contractors estimate that a stamped concrete patio costs one-third less than the cost of other materials. 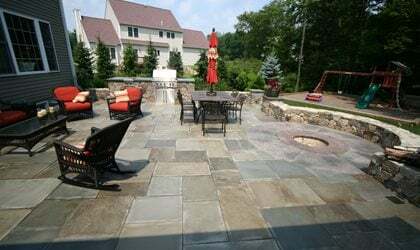 The lower price tag combined with the wide array of patterns and colors available are some of the main draws of choosing a concrete patio. Below is a breakdown of the average patio price. Note that prices can vary considerably depending on your area and the skill of the contractor you hire. Typically the price per square foot goes down as the patio gets bigger. Alternatively, for small patios, some contractors charge a minimum total rather than a per square foot price. If you need grading, demolition or other site work, the price will go up. Also, if your property can’t be accessed with the necessary equipment, requiring a pump or additional labor, costs will rise. Adding texture, color, borders or other design features will add up. A basic shape with straight edges is easier to form, while curves are more complex and more expensive. No decorative finishes or colors. Outdoor Patio Design Videos: Design ideas and tips for outdoor living areas.